The free Master PDF Editor for Linux has lots of features that help fill the long term PDF Editor void in Linux. 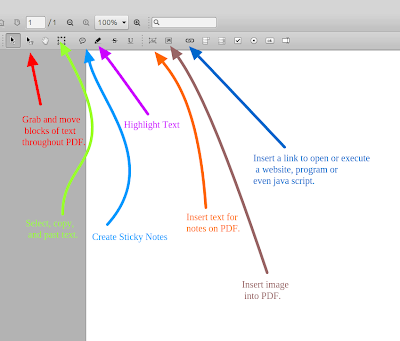 While Master PDF Editor has many features that would be desirable to Linux users, this post will focus on its annotation features. The annotation features include selecting, grabbing and moving text, selecting and copying text, sticky notes, highlighting text, inserting text notes into PDF, inserting an image into PDF, and insering a link to open or execute website, program, or jaza script. I think my favorite feature was the ability to take a block of text such as a title and move it anywhere on the PDF. My least favorite was the sticky note feature which felt clunky and additional notes were "accidently" added. 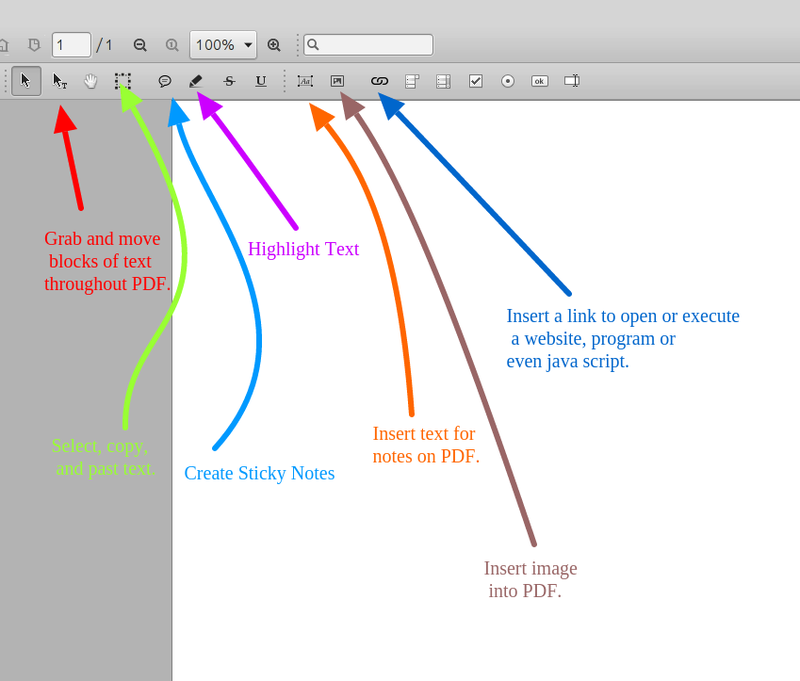 While some of the features felt beta like, Master PDF Editor offers multiple way to annotate a PDF offline in Linux Mint.